This quote hung in the air while I was reviewing Kansas-born and Texas-based singer-songwriter Monae Miller’s #ForeverAlive EP. The photo on the front and back covers, as well as photos within the CD booklet, show her holding a guitar. So I anticipated that she would play that guitar at some point in the EP. But unless the album notes are inaccurate, the only instrument Monae plays is piano. She does sing, however, and sings well. Monae’s soprano evokes the breathy, relaxed tones of Alicia Keys and India.Arie, and her songs have a neo-soul strut. 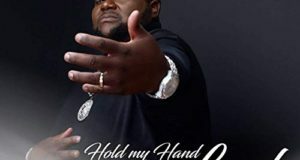 Monae co-wrote three of the EP’s five cuts and arranged a fourth, though Dwayne Pugh’s composition, “I Need You,” with its snarling guitar work courtesy of AJ Arnyx and Taylor Rowland, is the project’s finest cut. In this song, Monae reflects that she may “rise to the top” or “sink to the bottom,” but no matter what happens, she has Jesus, and (to quote an old gospel song) that’s good enough for her. 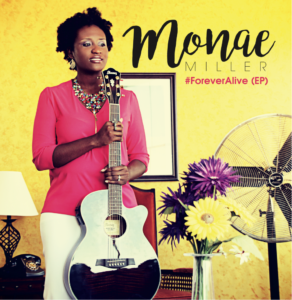 While I would have loved to have heard Monae Miller show us her guitar skills, #ForeverAlive contains the same bouncy, buoyant fare as her I’m On My Way EP. 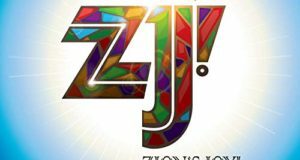 She jazzed “Blessed Assurance” on that project, and here she gives us a similarly finger-popping version of “Oh, How I Love Jesus” (titled “How I Love Jesus”).